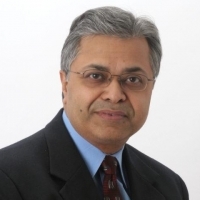 Dipto Chakravarty is a recognized expert in IoT, cloud and security. In addition to being a software industry veteran, he is the author of several best-selling books from McGraw-Hill and Wiley that have been translated into five languages, has published over 45 papers, and has 11 patents to his credit in the areas of IoT, cloud and security. He has led engineering and products organizations at three public companies (IBM, Novell and Thomson) as well as four startups, three of which exited successfully. He holds a B.S and M.S in Computer Science from U. of Maryland, and GMP from Harvard Business School. The function of the IoT Community, is to focus on the adoption & application of IoT in commercial environments, seeking to understand & contribute to applying the technology or overcoming the wide variety of barriers, inhibitors, and technical & operational issues. As a member of the board, Dipto will provide impartial input and guidance to the overall vision, strategy and execution that is helping to shape the current and future direction for the IoT Community, as well as the broader IoT industry.